There’s something decidedly pathetic when the so-called journalists on the main anti-government website in Fiji are duped into running counterfeit emails. Coup Four and a Half has tonight run the following alleged email exchange between Grubsheet and Sharon Smith Johns, the Permanent Secretary for Information in the Fiji Government. It didn’t happen, there is no such correspondence and anyone with half a brain would instantly recognise it as fraudulent. For a start, I joined Qorvis last month so the notion of Sharon Smith Johns wanting to “talk to my colleagues” at Qorvis about anything on August 15th is risible. They weren’t my colleagues. I was NOT working for Qorvis at the time of the SDL submission. The language is all wrong and even the one tiny element of potential plausibility doesn’t make the grade. On the one occasion Sharon Smith Johns and I have shared a bottle of wine a deux, it was Pinot Noir, not Shiraz. I distinctly recall her telling me when the waitress was there to take our order that she didn’t like Shiraz. No matter. Coup 4.5 says the email came from “a most reliable source”. Yes, fellas, the same one that said Christmas had come early because the Prime Minister and his Attorney General “had been arrested”. Or that they had “millions of dollars in Chinese bank accounts”. Yeah, right. Tomato source, Worcester source, Chilli source. Those I know. “Impeccable”, I don’t when this sort of rubbish is given even the veneer of authenticity. This latest claim is as ridiculous as many of the others on 4.5 and does nothing to lend credibility to its other stories. It’s indicative of two things – the poor quality of the “journalists” who write for this cyber rag and their desperation as Fiji powers on towards the promised election of 2014. They’ve been marginalised and are reduced to publishing counterfeit emails from “impeccable sources” who are clearly even more desperate then they are. But read on…. An email that clinches the modus operandi of Aussie expats Sharon Smith-Johns, the regime mouthpiece, and Graham Davis, ‘independent journalist’. The email has been printed as it was sent to us and because people are bound to ask, we can only say we have no reason at this stage to doubt its authenticity. It has come via a most reliable source. Bloggers will recall the controversial SDL submission was the regime’s ‘big story’ recently and that Davis went all out to use it to try to discredit the country’s biggest political party. Let’s meet up next week when you are over so we can have a few wines, that Shiraz you gave me last time was to die for. WARNING: As I’ve already signaled, I’ve begin to screen and reject comments that are irrelevant as well as those that are offensive. If you find yours removed, you will know why. Repeat offenders will be barred from Grubsheet permanently. What a sad case, they(coup 4.5) are clearly desperate. I find it really strange that majority of the comments there are very thin on substance, when someone post with any slight counter points they’re personally abused. So rather then countering with a points comments on the particular subject they crawl into personal abuse of childish type. Reading comments there you can straight away have an idea of the type of individuals that flock their nest, on the one hand you have the abusive ones who add no value to the discussion but just petty little abusive comments. Straight away you can tell that these are the ones who goes with the flow, they do not posses the interllect to converse on subjects of economic and political importance. On the other hand you have the interllect ones with sometimes educational points but on most occassions they use big words in their arguments to make it look fancy and like they know better but you analyse their points or heart of their arguments and you’ll realise actually they’re either saying the same arguments over and over or they’re going off topic bringing up points thats totally irrelevant to the particular discussions. All in all I am thankful that we dont have those type of individuals running or making decisions for our country because they’re so way out of their depth its not funny. At the sametime I find myself thinking were these the sort of individuals that advised the previous governments like Qarase if they were then its no surprise some of the previous governments policy and actions were just so out of touch. Am truly glad that the new Fiji will be driven by the modern sons and daughters perhaps with hired overseas expertise of Fiji. I have always known all along that C 4/5 are really a desperate mob of losers who at every turn spews venoms of lies and deceitful allegations. They just cannot fathom the reality that that the Bainimarama government has done just too much for the Fijian people in the past 6 years than any other previous gpvernment had during their full term running the country’s affairs. Those nut-wits at C 4/5 have really gone bananas. That picture of the howler monkey so aptly defines their rumblings which really so clearly demonstrates their stupidity and gutter level of journalism. 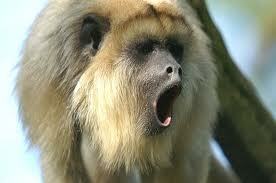 I know for sure that those monkeys are being coached by none other than the mongrel of all- Marc Edge. We ordinary people do know that emails and anything captured electronically via a computerized equipment can easily be altered. Come on – we all watch movies, read the newspapers and magazines, watch TV, etc and all know that anything captured electronically can be altered. So to you – whoever came up with this email – and gave it for publicity – if you’re really serious in informing us ordinary people about what’s going on that we don’t know – or need to know about those in power – then please have the guts to defend the email’s authenticity and credibility. Also give us more than just this email to at least have an impression that the information you supplied is true and/or can be credible. Play with our minds and our intelligence if you wish – however – as it is I am not convinced that the email is in any way true and credible. I simply cannot believe it and it will be really foolish and unwise of me to do so because there simply are so many factors that needs to be taken into account. I am not defending Graham or Sharon but very simply saying the truth, Sir. The truth, Sir, is this: this ‘evidence’ is not sufficient to prove anything. Period. c) Credible witnesses – e.g a cleaner or security guard or a soldier or whoever witnessing the conversation between Sharon and PM. d) Information to prove that Sharon called Qorvis at whatever time you mentioned. e) Proof that Graham was paid and joined Qorvis during the mentioned period. Well you know the drill with us ordinary people..
We’ll just be amazed and then be filled with wonder – yes – lots of wondering – then in the end we’ll come to the conclusion that the email is just not enough to prove anything. If you were smart – perhaps like some people who attack Graham in this blog – I think you would have done more research, collect all good evidences like we see in TV movies and come with a bang. Yes – a big bang! Even if it was true – I cannot believe it. It will be really naive and foolish of me to believe it. So my dear Sir – whoever you are that brought this ‘evidence’, please accept my most humble apologies in telling you my dear Sir that I don’t believe the email. Thank you and may you find your journey not too difficult and shameful to bear. Riverside, very good post. C4.5 can’t keep on constantly coming up with these unsubstantiated stories. They’ve lost credibility even with some of the Bainimarama govts. critics. Graham, do you know what happened to the whole Operation Jericho that was supposed to happen last week? More talk, no action by the sounds of it. I do not know why those Indians, victor lal, brig lal and warden narsey go to these racist websites like Coup 4.5.Surely there are other ways they can get whatever message they have through other means and places. The simple fact is that Fijians leaders like Mara and Qarase have failed the ordinary fijians aided in that failure by the Methodist Church and the Great Council of Chiefs. When you are running a anti coup blog you have to be accurate and fair, otherwise you lose credibility and Coup 4.5 has lost it, not that it had much to start with. And lastly Peni, there is a section of the Indian community who still hope for an SDL comeback…….we will have a big fight ahead. And Graham, this topic is relevant to c4….please do not delete this post as my earlier one from last night. Chand, you got deleted for obscenity. I’d warned you before about your language and you repeated the offence. I don’t want this to be a diversion from c4.5 topic, but as from yesterday if using ‘F@#k is a taboo on this blog, than it is fine and I hope you will be consistent in your approach…and I admit I did use the F word. I personally feel that you had an issue when I said that I was the self proclaimed “head kicker” of this blog and quite frankly I did not find that as being “obscenity”. My response is to the majority of the blogs making personal attacks and I hope it is not just to strike a ” balance” and to “look good”, you deleted my posts. I have been on this blogsite for a while and I know the positive contributers and people of who have Fiji at heart are smarter than the average FOX viewers. Jone, “Operation Jericho” was a stunt organised by anti-regime elements that was meant to be an expression of resistance to the regime on September 26th. The anti-government blogs urged a comprehensive mobilisation on that day. Needless to say, nothing happened. Why? because no-one remotely cares. It’s all hot air, just like most things they go on about, including email exchanges that never happened. The time to take a stand was during Operation Jericho back on 26 September. If you didn’t stand up then, you never will. If you didn’t stand up then, sit down now. Thanks Graham. This like waiting for someone to show up andstart a fight in a nightclub with a rival gang. When that guy fails to show up, all they do is fall back into a corner and gossip. Thats what is exactly happening at c 4.5, gossiping and wishful thinking. All the vakadomobula and vaqakoro talk at c4.5 came to zero on sept 26. Roko lui, daunitutu , tawawili and others like them all reside overseas and all they do is try to vesumona us the ordinary fijians to stand and fight. These guys need a reality check, this is fiji and majority of the people here are educated and the mob mentality is long gone and will take us nowhere. Mr Davis, please do not be put off by the Coup 4.5 and Fiji Times people who are angry because so many people read your very good columns. Coup 4.5 and the Fiji Times are the old style politics that brought us all so much trouble. Grubsheet and the Fiji Sun are the new Fiji and the better future. Truth will always out. Eventually. Desparados !!!! Thats what C 4/5 are. A desperate mob of liars trying to run amok in cyberspace. “Fiji Today FijiTodays Open Forum Blog- AN OPEN FORUM ON FIJI” . They just cannot fathom my views opposing to theirs. Fiji Today FijiTodays Open Forum Blog-AN OPEN FORUM ON FIJI- They don’t post my comments anymore. They should just ban me. But they don’t! They just do not wish to post meaningful opposing views . I have been openly sworn at using the most vulgar terms. I have been called a racist and have been refered to as bad blooded Fijian- Indian (I am not a Fijian Indian- not that it matters to me which racial divide I come from). So, when I respond similarly, my posts are not entertained. Those who have maliciously attacked me continue to have their posts entertertained just because they support C 4/5’s views. It just demonstrates the desperation of C 4/5, and their sister blog site.s They will only post comments that they are comfortable with. Some of the comments on c4.5 are truly shocking and disgusting. First of all, I’d like to thank you Graham for your time in helping our Lovely Island nation on the cyber front, for those of you who stand by our Island nation during these trying times I thank YOU all too, as for c4.5, it’s sad that they’re on that strange highway they are on, c4.5 should’nt be a problem to us who LOVE our Nation but an opportunity for us to prove them wrong, and in the meantime we have the upperhand with countering all their lies, era tobo mamaca tiko yadudua(they’re being cought one by one high and dry), for all what our Gov’ has done in Fiji now, you can’t compare with the bygone one’s because they were all too greedy,and if and when the time comes that PRIME Minister Commodore Voreqe Bainimarama decides to go in the race in 1214 to lead our Nation again, I’ll vote for him and even vote for him to be Prime Minister or Prisident for LIFE when the time comes if our laws allows that. Lets all keep on keeping on with truth and Love and we will be alright, Bless you all my Sisters and Brothers.ps Vincent is my real name. I posted over 40 articles on C4.5 in total they only published 4 with some changed to suit their ends. Anything against Qarase was like taboo-subsequently i read of Grahams site on C4.5 ! Here i am and here i intend to stay i may not agree to all that Gram writes at least i am given the opportunity to have my articles published and happy to have fruitful disccusions with other minds who also give their valid opinion on the site! On C4.5 its a case of you with us or against us! If it were only that simple!